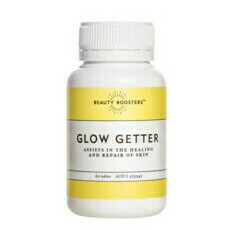 Beauty Boosters in an Australian formulated, made, and owned company which create a premium skincare supplement range designed to maximise the total skincare routine from the inside to achieve a healthy, glowing complexion. Genuine results driven skincare promotes skin vitality not only on the outside, but by maintaining skin health at a cellular level. 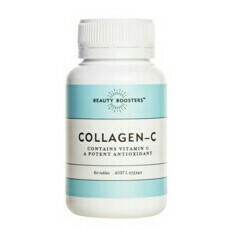 There are three Beauty Boosters in the range; Collagen-C, Complexion Perfection and Glow Getter, all designed with carefully balanced dosages of skin boosting nutrients to support optimum health and wellbeing. These products are developed with over 50 years experience in formulating for the pharmaceutical, beauty and complementary health industries. 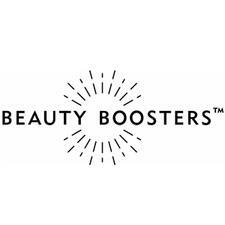 While your favourite creams, oils and serums are working on the outside, Beauty Boosters supports healthy skin from within.